RSTC Enterprises was established in response to the consumer’s need for a network solution that would accommodate future satellite technologies when building a new home or commercial development. 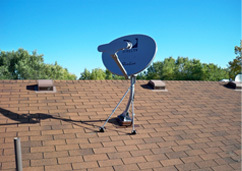 For years home builders, low voltage and installation contractors alike had struggled to meet the explosive consumer demand for satellite service and CommDeck was the answer. In 2003, the founders of RSTC Enterprises began collaborating on several product ideas for satellite mounting equipment. Drawing on their various contracting experiences in the cable, satellite and construction fields, RSTC partners set out to find a way to incorporate a satellite option into existing building practices. CommDeck is one of the results of those efforts. Since then, RSTC Enterprises has launched a new product line — SolaDeck. Based on the design of CommDeck, RSTC teamed with solar installation companies, consultants and manufacturers to create this innovative solar power combiner enclosure. 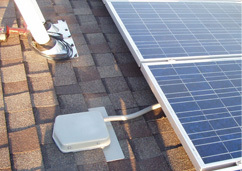 This unique roof-mounted unit facilitates installation and pre-wiring of photovoltaic panels. SolaDeck was first introduced to the solar industry at the “Solar Power International” conference in 2007. RSTC Enterprises, Inc. produces American made, flashed photovoltaic roof mounted combiner enclosures. These products will revolutionize the installation methods without compromising the integrity of the roofing system. The vision of RSTC is to continue the development of innovative products that will improve the solar industry.